The world is experiencing three massive, interconnected revolutions at once: the energy transition driven and necessitated by climate change; the Fourth Industrial Revolution, which is upending traditional models of employment and work; and demographic and economic changes that bring cycles of disruption more quickly than in the past. Amidst these changes, it is essential that we take seriously their impacts on people and communities. The just transition is an economy-wide process that produces the plans, policies, and investments that build resilient economies and communities with green and decent jobs, in the midst of these shifts. This requires creating jobs by seizing new economic opportunities, while reducing the disruption people and communities face in moving away from high-carbon business models. A just transition that achieves these objectives will generate economic vitality and stability, and individual companies that contribute to a just transition will better manage the risks from a transition to the low-carbon economy and capitalize on related opportunities. Today, BSR launches our report Climate and the Just Transition: The Business Case for Action to highlight how businesses can engage in a just transition that will speed us toward the low-carbon economy. The just transition is a key topic at the UN Climate Conference (COP24) this month, at which the Silesia Declaration on a Just Transition will be announced. Interestingly, COP24 is taking place in a region of Poland that has been highly dependent on coal, and where this traditional driver of employment has created opposition to climate action. Indeed, our hosts may be ambivalent about the shift to clean energy, based in no small part on concerns about domestic political support, given livelihoods are viewed as being at risk due to climate action. Poland is not alone: We have seen reversals by new governments in the United States, Brazil, and Australia, all in the name of protecting jobs. Yet there is considerable evidence showing that decisive climate action in fact generates economic vitality. Most studies indicate that climate policies can result in net employment gains of 0.5-2 percent, or 15-60 million jobs globally, with the ILO estimating a net increase of 18 million jobs. A just transition will maximize the economic opportunities of the low-carbon economy, while minimizing the related disruption. Business has a crucial role to play in shaping a just transition. For starters, emerging low-carbon business models offer quality employment opportunities. And companies that have made groundbreaking commitments to renewable energy procurement can take steps to ensure that such energy is generated and distributed through quality employment. There are significant investment opportunities to undertake in communities experiencing dislocation as business models based on fossil fuel production decline. Social dialogue, through which business engages directly with workers and their representatives on working conditions, is crucial. 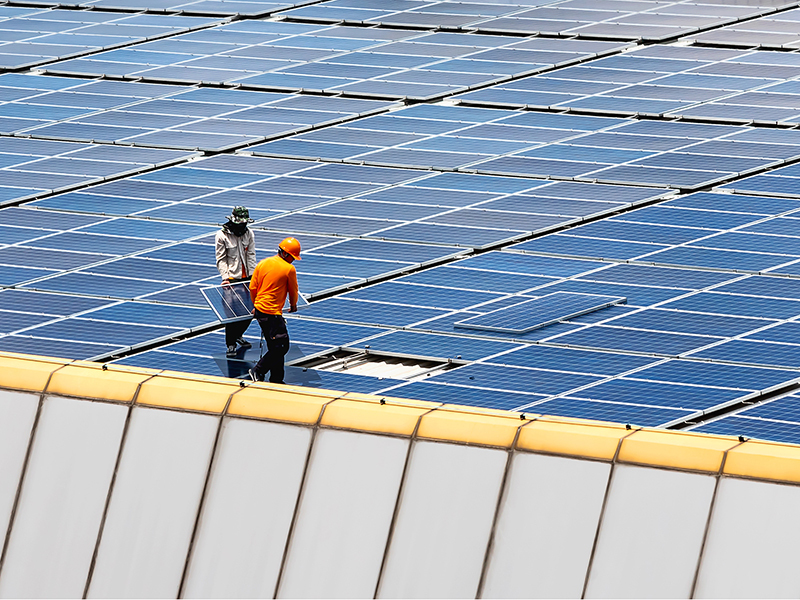 Several companies, including Enel, Ørsted, and others, have engaged in dialogue with trade unions to develop modern, clean energy jobs on the basis of core labor standards. Finally, businesses can engage in the development of public policy solutions. Climate is global, and action on the just transition is often local. It is therefore essential that both national and sub-national efforts ensure that workers can shift to jobs that drive carbon-neutral prosperity. At the Global Climate Action Summit in San Francisco in September, the mayors of Vancouver and Oslo expressed their support for just transition. The C40’s new “Inclusive Cities” initiative highlights efforts to deliver inclusive climate action that improve quality of life for all. Business should be at the table as these kinds of solutions are developed. Business also has much to gain from working toward the just transition. First, there is a high likelihood that the social license to operate would be damaged by the perception that companies are disposing of workers in the name of climate action. Second, through the Pledge for a Just Transition to Decent Jobs, an emerging group of companies is developing positive labor relations with trade unions through partnerships to build the energy transition on the foundation of high labor standards. Third, companies seeking public policy frameworks and incentives needed to achieve mitigation targets are far likelier to obtain that result in an environment in which economic dislocation is also mitigated. And fourth, a just transition reduces the costs of managing the transition risks articulated by the Task Force on Climate-related Financial Disclosures (TCFD). This year, the urgency of climate action has been driven home by the Intergovernmental Panel on Climate Change (IPCC) Special Report on Global Warming of 1.5°C, which demonstrates that the time to act is short, and the devastating wildfires in California, which show the profound impacts people and communities face right now. These wake-up calls provide a stark reminder of the need to act. The just transition is a crucial roadmap to action that shifts climate from a threat to an opportunity. Business would be wise to pick up this challenge and run with it.